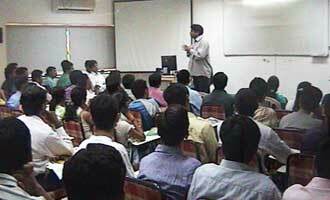 MET Institute of Software Development and Research organised a free informative seminar on June 13, 2009. In the present economic context, rightly fitting theme ‘Current IT Industry Requirements & IT Career Opportunities’ attracted large number of students and professionals who wanted to make a successful career in the IT industry. The seminar covered modules on IT, its scope, recent industry trends, role of software development in IT, software development as a career and requirement of software development. Featured IT experts also cleared many misconceptions that the budding professionals had regarding the industry ground realities. This was followed by a FAQ session. Overall, an enriching session.